So you’ve heard these terms so many times, whether on CNN, the latest bill being passed or on the train station- Mozlems this, Muslims that, Islam this, Radical Islamists that. Some Muslims don’t drink, others own the bar down the street, some muslim women wear a hijab, some are covered from face, to head to toe, others are tanning in a bikini at the beach. So what’s the deal with these Muslims you might wonder? Who are they and what do they believe? In this post specifically I’ll be covering some main ideas that will (hopefully) make the foreign map of Muslim beliefs be more navigable. The One Thing– There are 1.7 billion Muslims in the world and counting. Across the board, from east to west the one absolute thing that all Muslims have in common is their belief in the oneness of God. Muslims believe that there is only one God. God has no father or mother, no son or daughter, no one shares His throne. None is equal to Him. He is the ultimate Creator, He is the only worthy of worship and surrendering to. This is a major point in Islam, Muslims do not worship idols, or their prophet Muhammad (swt) or any of the preceding prophets that they believe in. It’s just God, and God alone who is worth worship to Muslims. Everything in Islam functions around this basic block of monotheism and God being at the ultimate top of the hierarchy that the religion branches out from. This brings us to the second most important part of the religion that you need to know in order to understand what Muslims believe and how they function. The Second Thing- The Holy Quran (Quran/Koran/Coran) is the book of the Muslims. Muslims believe that the Quran is the word of God as communicated to the prophet Mohammad (swt) by God through the archangel Gabriel. Or Jibreeel if you want to say it the arabic way. Some things you should know about the Quran, is that it contains the same stories from the Torah and Bible with some changes and additions. Muslims believe that God’s message was altered as time went by in these previous scriptures, and the Quran is the final “revelation”. In Islam, the Quran is seen as the true word of God, since the Quran has been unchanged since its revelation to the prophet over 1400 years ago. The very first copy of the Quran compared to a Quran printed last week, are identical in text. So now that we’ve established the second most important aspect of Islam that dictates the actions and belief system of Muslims, let’s put the two together. Muslims worship God and God alone, Muslims believe that the Quran is the unchanged and unchanging word of God that they follow. This brings us back to our initial question, if that’s the case, then how come the end result is so different between Muslims and what they believe and what they practice and preach?? 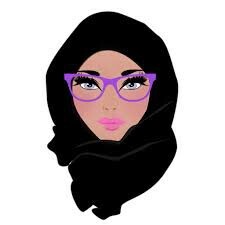 What causes these drastic variations between Muslims; like Muslim women who think it’s their mandated religious duty to cover up a certain way, and have a specific ceremony for marriage etc. There are certain aspects of the religion that for the most part, the majority of Islamic scholars and clerics agree on, and have agreed on for centuries that are integral in the religion and cemented. Such things are the five pillars which are: praying five times a day, fasting the month of Ramadan, giving charity, performing the Hajj pilgrimage (which is basically a visit to Mecca, Saudi Arabia to visit the house of God), and to believe in God and his message as relayed by the prophet Mohammed (swt). Muslims know they have to do these things, amongst others, the issue arises when it comes down to how they have to these things. How to perform Hajj? How to perform daily prayers? How much charity to give and to whom? Ultimately it comes down to this; as Muslims we have to follow the words of God as they are presented in the Quran. The problem is, the Quran isn’t very specific. So, for example, when it asks Muslims to meditate/pray five times a day, it mandates that we do so, but it doesn’t explain how we are supposed to do it. And that’s because the prophet Mohammed (swt) explained and taught and showed these things, and we are to do them as he did. The problem now, and this is where things get messy and funky and all confusing, is that video recording did not exist at the time (obviously), and the actions and sayings of the prophet Mohammad (swt) were relayed from one person to another. Another example is the modesty part. The Quran commands women and men to dress modestly and guard their private parts. But the definition of dressing modestly varies from person to person and it comes down to the research you do, and the sources you believe in. Now, if you’ve played a game of telephone, you know how messy this can get real quick. And despite the scrutiny with which certain scholars at the time attempted to collect and filter through the recounted stories of the prophet’s sayings and teachings, there are many Hadith* collections out there and it’s up to the individual to research and decide which is the most authentic for them to follow. And let’s not even discuss the role that culture plays in this, because that is a whole other non-ending discussion for another time. DISCLAIMER: I am not a scholar in Islam, I am writing this as a practicing Muslim person who is fairly knowledgable (or at least believes herself to be fairly knowledgable) about her religion. So, with that in mind if you are reading and see something wrong then: LET ME KNOW! Even if there’s anything I said that might’ve implied something that is wrong. Let me knowww. *Hadith- a collection of traditions containing sayings of the prophet Muhammad which, with accounts of his daily practice (the Sunna), constitute the major source of guidance for Muslims apart from the Koran.